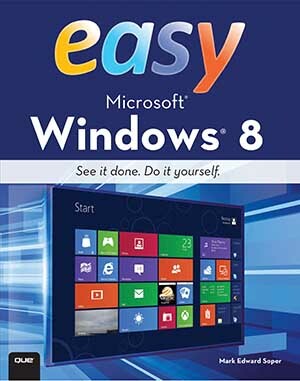 “Easy Windows 8,” by Mark Edward Soper, $25, is by far the best and easiest of the Windows 8 books we’ve seen. It’s from QuePublishing.com and has screen shots on every page to help step you though. See for yourself with a sample chapter. Previous postGot Windows 8? Get Easy Windows 8! Next postEasy Windows 8.1 is Ready for You!